Written as a female person with a mini-me voice character on her head, Radhika Mehta is strong, educated, Intelligent and successful who works at Goldman Sach, also she has an opinion of her own which makes her who she is. The author does make a point of Indian woman struggling to break free from stereotypical social norms. ‘One Indian Girl’ gives a strong social message to all average Indian women, who are either forced to get married and settle or choose a career life and be the talk of the society on ‘Why she is not married yet’? The choice of either to fly high or build a nest makes a difficult option in life and woman are constantly judged no matter where they are in their career. This book is a message sent to Indian men, woman and parents, also being a career-minded woman I could connect with what Radhika choose for herself. It’s not just about been independent or feminism but woman should be given the freedom to do whatever they want in life. Because, if man are not restricted from choosing what they want, why should woman be? 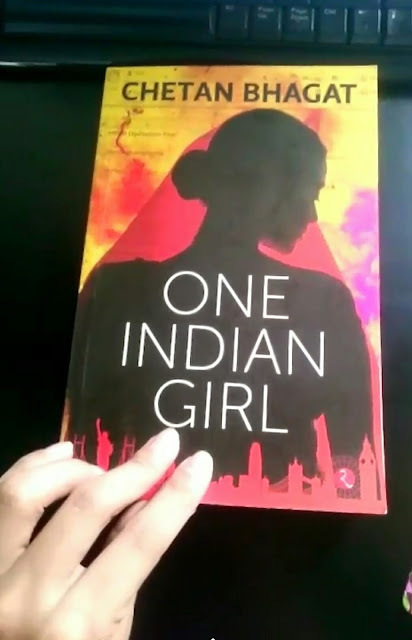 If you think you can relate to such situations in life, or if you believe woman should be given the same freedom as man... to do whatever they wish in life, then I bet you should grab a copy and read the story of ‘One Indian Girl’ Radhika.